IM UNGROUNDED!!!! IM MAKING STORIES AGAIN! Welcome back, cowz! Good to have you here again. test wrote: Hi! and welcome! 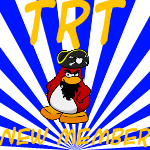 Welcome to the TRT forums test and Cowz! Enjoy your stay!